A cool way to take your water along with you. 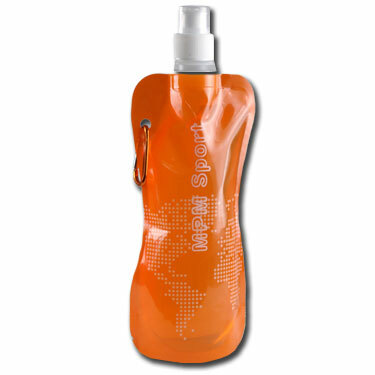 Once you finished drinking the bottle of the water, you simply fold the bottle up and store it in your bag. 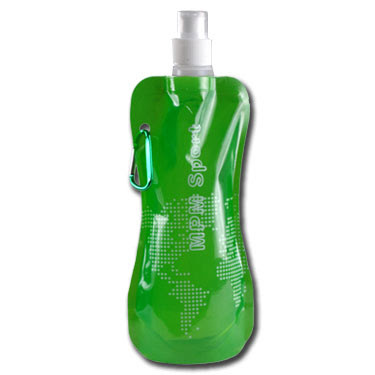 MPM Sport Foldable Water Bottles are flexible, foldable, and hold up to 16oz. 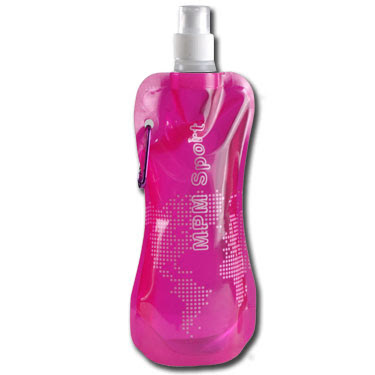 Made of BPA-Free resistant material so you can throw it in your backpack, purse, briefcase, or carry it around in your hand! You can wash it, reuse it, freeze it, and fold it.